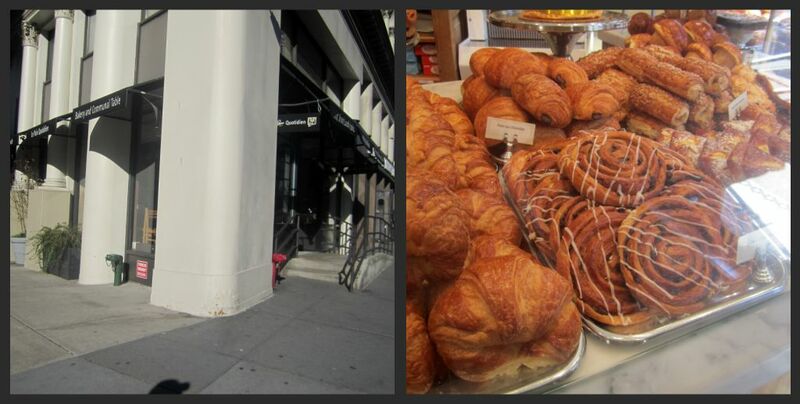 Le Pain Quotidien (The Daily Bread) is a 150 store global franchise which originated in Brussels. Within the US, it is centralized in pods of California, New York and DC. 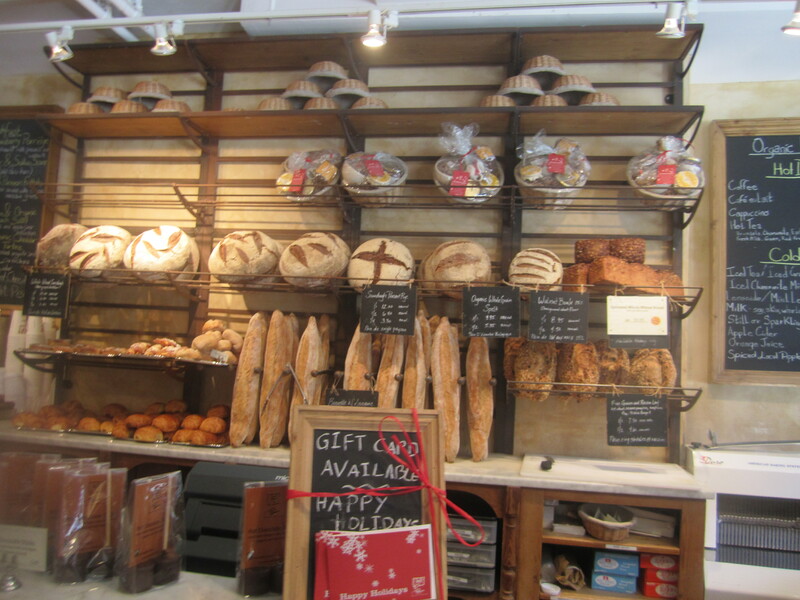 Le Pain Quotidien faintly reminds me of a refined version of Au Bon Pain, with the large repurposed communal tables, great lighting, tea pots, freshly baked breads and signature tartines. The last time I was here I met a friend and we chatted for quite some time, enjoying tartines and tea. Everyone seems so relaxed, maybe its the carbohydrates or soothing tea, but I could sit for hours. 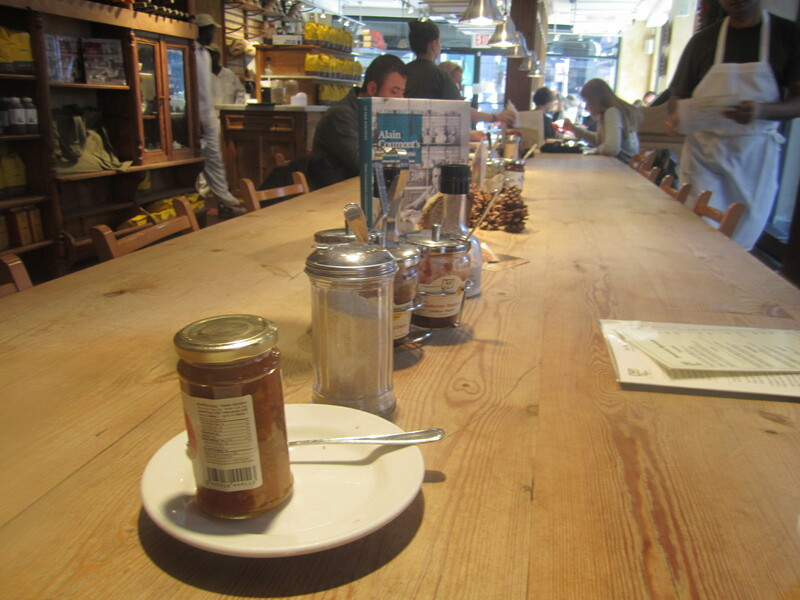 The repurposed wood table has jars of hazelnut spread and jams to sample and a recipebook Le Pain Quotidien -Alain Coumont’s Communal Table – Memories and Recipes. 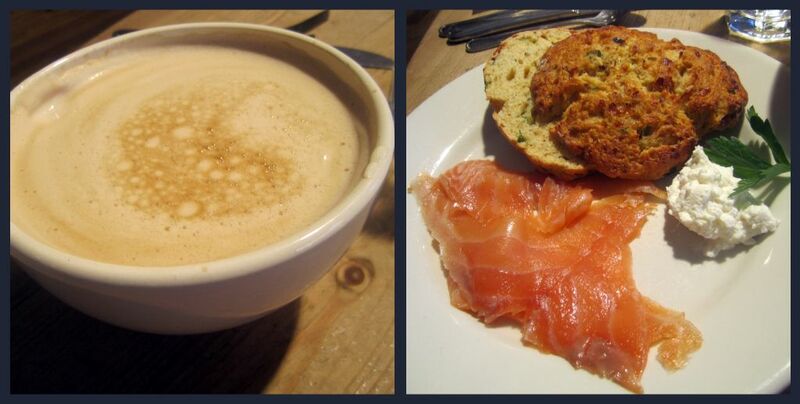 My friend had a large latte ($4.95) and the seasonal special, a chive and cheddar scone with a bit of ricotta and a slice of smoked salmon. The scone had a nice chive flavor, but went exceptionally well with the creamy ricotta and lox. 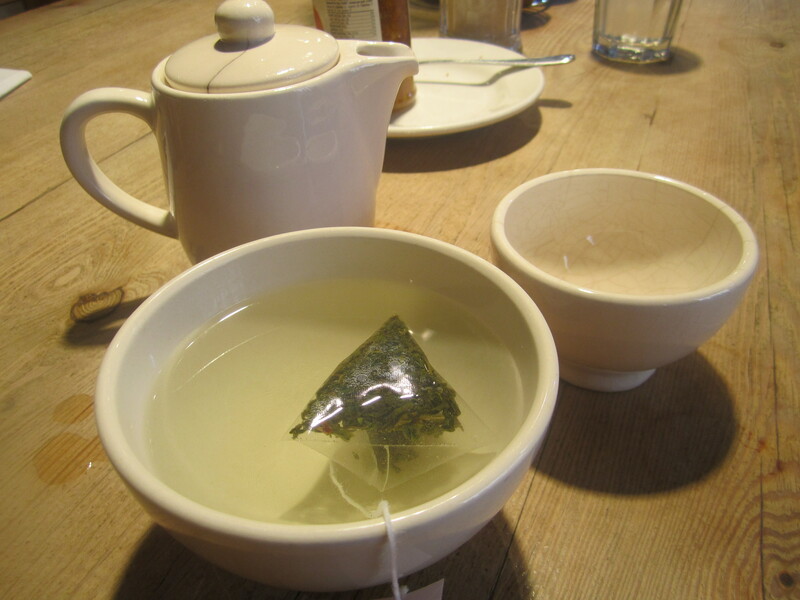 I had my daily pot of green tea in an adorable ceramic mugs. The tea selection includes brussels breakfast, chamomile, lapsang souchong, earl grey, red fruit and fresh mint tea, all for $3.60. Every tartine comes with thinly sliced radish, cucumbers and this tartine came with a few cornichons and cantaloupe. 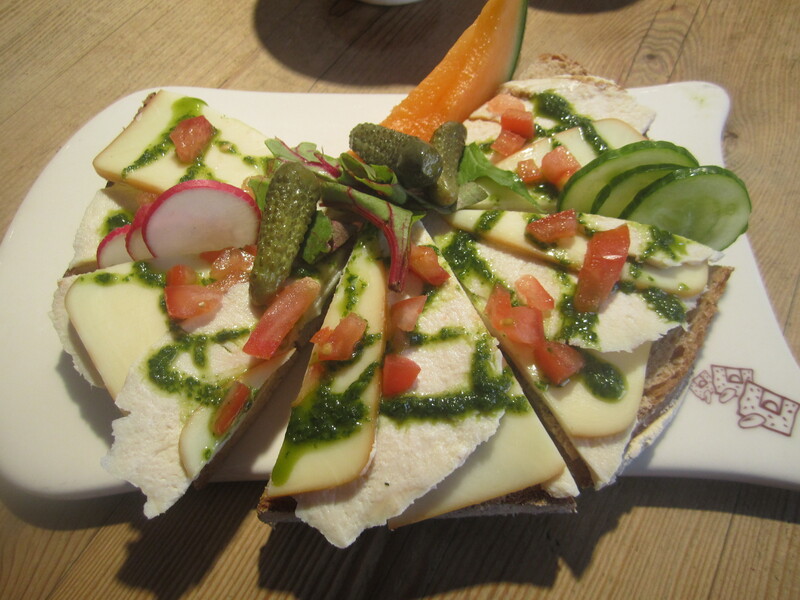 The Grilled Chicken & Smoked Mozzarella tartine with arugula and basil pesto for $11.25 was presented with artistry. My only wish was that the bread was lightly toasted. I have been eyeing the Belgian Waffle for $4.95 and the Aged Goat Cheese & Arugula tartine with pine nuts, parmesan, organic olive oil and lemon for $13.50. Looking forward to my next visit.